Includes (AG1) driver 10-way power seat adjuster with (AZ3) bench seat only, (CJ2) dual-zone climate control, (BTV) Remote Vehicle Starter system, (C49) rear-window defogger, (N37) manual tilt and telescopic steering column, (KI4) 110-volt power outlet, (T3U) fog lamps, (Z82) Trailering equipment, (JL1) trailer brake controller, (VXJ) 4" round chrome tubular assist steps, LPO and Texas Edition badging. 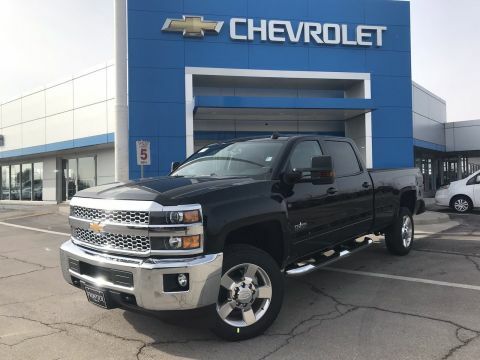 TEXAS EDITION includes (AG1) driver 10-way power seat adjuster with (AZ3) bench seat only (CJ2) dual-zone climate control (BTV) Remote Vehicle Starter system (C49) rear-window defogger (N37) manual tilt and telescopic steering column (KI4) 110-volt power outlet (T3U) fog lamps (Z82) Trailering equipment (JL1) trailer brake controller (VXJ) 4 round chrome tubular assist steps LPO and Texas Edition badging. WHEELS, 20 5-SPOKE POLISHED ALUMINUM includes 18 x 8 (45.7 cm x 20.3 cm) steel spare wheel., WHEEL, 18 X 8 (45.7 CM X 20.3 CM) FULL-SIZE, STEEL SPARE., TRANSMISSION, 6-SPEED AUTOMATIC, HEAVY-DUTY, ELECTRONICALLY CONTROLLED with overdrive and tow/haul mode. Includes Cruise Grade Braking and Powertrain Grade Braking (STD), TRAILERING EQUIPMENT Trailering hitch platform 2.5 with a 2.0 insert for HD, 7-wire harness with independent fused trailering circuits mated to a 7-way sealed connector to hook up parking lamps, backup lamps, right and left turn signals, an electric brake lead, battery and a ground, The trailer connector also includes the 4-way for use on trailers without brakes - park, brake/turn lamps Includes (JL1) trailer brake controller., TRAILER BRAKE CONTROLLER, INTEGRATED, TIRES, LT265/60R20E ALL-TERRAIN, BLACKWALL, TIRE, SPARE LT265/70R18E ALL-SEASON, BLACKWALL, THEFT-DETERRENT SYSTEM, UNAUTHORIZED ENTRY, TEXAS EDITION includes (AG1) driver 10-way power seat adjuster with (AZ3) bench seat only, (CJ2) dual-zone climate control, (BTV) Remote Vehicle Starter system, (C49) rear-window defogger, (N37) manual tilt and telescopic steering column, (KI4) 110-volt power outlet, (T3U) fog lamps, (Z82) Trailering equipment, (JL1) trailer brake controller, (VXJ) 4 round chrome tubular assist steps, LPO and Texas Edition badging., STEERING COLUMN, MANUAL TILT-WHEEL AND TELESCOPING. This Chevrolet Silverado 2500HD has a strong Gas/Ethanol V8 6.0L/366 engine powering this Automatic transmission. 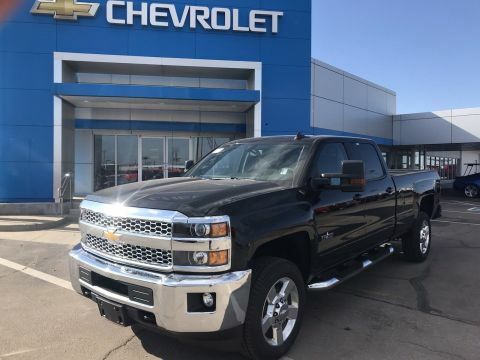 *These Packages Will Make Your Chevrolet Silverado 2500HD LT The Envy of Your Friends *SEATS, FRONT 40/20/40 SPLIT-BENCH, 3-PASSENGER. Available in cloth or leather. Includes driver and front passenger recline with outboard head restraints and center fold-down armrest with storage. Also includes manually adjustable driver lumbar, lockable storage compartment in seat cushion, and storage pockets. (STD), SEAT ADJUSTER, DRIVER 10-WAY POWER, REMOTE VEHICLE STARTER SYSTEM Includes (UTJ) Theft-deterrent system. ), REAR AXLE, 4.10 RATIO, POWER OUTLET, 110-VOLT AC, PICKUP BOX (STD), PAINT, SOLID, MIRRORS, OUTSIDE HEATED POWER-ADJUSTABLE VERTICAL TRAILERING, UPPER GLASS, MANUAL-FOLDING AND EXTENDING, BLACK; Includes integrated turn signal indicators consisting of 51 square inch flat mirror surface positioned over a 24.5 square inch convex mirror surface with a common head and lower convex spotter glass (convex glass is not heated and not power adjustable) and addition of auxiliary cargo lamp for backing up (helps to see trailer when backing up with a trailer) and amber auxiliary clearance lamp Includes (DD8) auto-dimming inside rearview mirror., MIRROR, INSIDE REARVIEW AUTO-DIMMING, LT PREFERRED EQUIPMENT GROUP includes Standard Equipment, LPO, ASSIST STEPS - 4 CHROMED ROUND, LICENSE PLATE KIT, FRONT, JET BLACK, CLOTH SEAT TRIM, GVWR, 9900 LBS. (4490 KG) (STD), FOG LAMPS, FRONT, HALOGEN, ENGINE, VORTEC 6.0L VARIABLE VALVE TIMING V8 SFI, E85-COMPATIBLE, FLEXFUEL capable of running on unleaded or up to 85% ethanol (360 hp [268.4 kW] @ 5400 rpm, 380 lb-ft of torque [515.0 N-m] @ 4200 rpm) (STD), DEFOGGER, REAR-WINDOW ELECTRIC, BLACK, AUDIO SYSTEM, CHEVROLET INFOTAINMENT SYSTEM WITH 8 DIAGONAL COLOR TOUCH-SCREEN, AM/FM STEREO with seek-and-scan and digital clock, includes Bluetooth streaming audio for music and select phones; USB ports; auxiliary jack; voice-activated technology for radio and phone; and Shop with the ability to browse, select and install apps to your vehicle. Apps include Pandora, iHeartRadio, The Weather Channel and more. (STD), AIR CONDITIONING, DUAL-ZONE AUTOMATIC CLIMATE CONTROL. 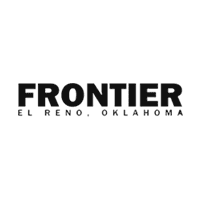 *Visit Us Today *Come in for a quick visit at Frontier Chevrolet, 1640 East Highway 66, El Reno, OK 73036 to claim your Chevrolet Silverado 2500HD!